Complete with air-filled rubber wheels, the B-MOTION 4 can tackle any terrain, be it your local supermarket or the leafy surroundings at your local park, whilst its superior rear suspension helps to ensure a bump-free ride for any little passengers. Parents can also be rest assured that the B-MOTION 4 will not only provide ultimate protection and comfort for a newborn, but that it is perfectly spacious and comfortable for a boisterous 4-year-old. Comparable to the popular, award winning B-AGILE family, the B-MOTION 4 has a lightweight aluminium chassis and a quick, easy one-handed fold mechanism - a dream for those parents who are familiar with battling to fold their pushchair with baby-in-hand. 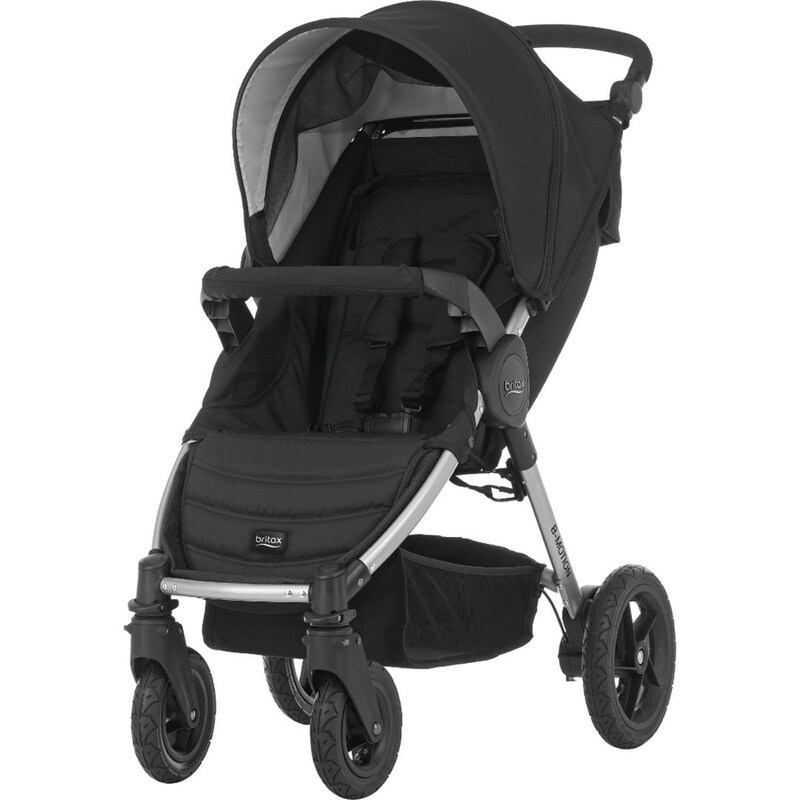 The added benefit of a height adjustable padded handle allows parents to push their little one in maximum comfort. With multi-position seat recline, including lay-flat mode, the B-MOTION 4 provides the ultimate comfort and protection from birth to four years, whilst its detachable CLICK & GO® adapters create a handy travel system when used in conjunction with BRITAX BABY-SAFE infant carriers. Moritz Walther, Business Unit Manager Travel Systems at BRITAX, comments, "Our core focus in designing the B-MOTION 4 was to create a quality lightweight pushchair with a one-handed fold, great suspension and other genuinely useful features that parents really need. This really is the only pushchair parents need to see their newborn baby through to 4 years of age." Weighing just 10.5kg, the B-MOTION 4's spacious shopping basket is ideal for storing all-important baby essentials on-the-go; with plenty of room for any groceries should you go shopping, and a removable seat cover for using the B-MOTION 4 as a travel system for newborns. The B-MOTION 4 will be available exclusively at Kiddicare from April 2013 for RRP £249.99. The B-MOTION comes with a raincover and bumper bar as standard which are included in the price.